CHARLOTTE, N.C. (Dec. 10, 2016) – It was the fourth time Doug Coby took the stage to accept a NASCAR championship ring. As the elder statesman on the stage, the Milford, Connecticut, driver took a moment to reflect. Coby was one of six drivers on stage Saturday night at the Charlotte Convention Center at the NASCAR Hall of Fame who received their NASCAR championship rings and trophies, culminating a memorable and exciting 2016 season. 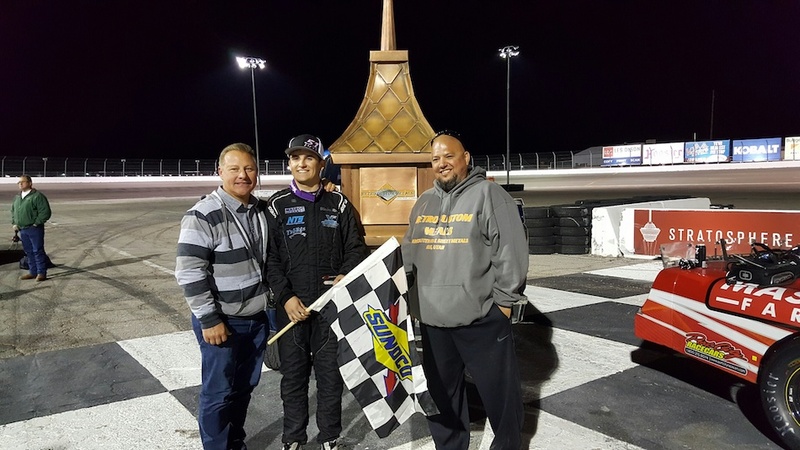 Todd Gilliland (NASCAR K&N Pro Series West) and Cayden Lapcevich (NASCAR Pinty’s Series) are the two youngest champions in the history of NASCAR’s touring or national series. Burt Myers (NASCAR Whelen Southern Modified Tour) and Anthony Kumpen (NASCAR Whelen Euro Series) each collected their second NASCAR touring titles. And Justin Haley (NASCAR K&N Pro Series East) will look to follow in former teammate William Byron’s path of going from touring champion to being a NASCAR Camping World Truck Series championship contender. Together, they represented six different paths – from around the world – taken to reach the North Carolina stage and accept one of the sport’s greatest honors. Family was a common theme throughout the nights. “Winning a championship is a hard and long battle and you need a family that supports you,” said Kumpen, who also won the Whelen Euro title in 2014. The 38-years-old from Hasselt, Belgium, won a series-high five races, and he clinched his championship in front of his home crowd at Circuit Zolder and in front of his racing idol, Jeff Gordon. 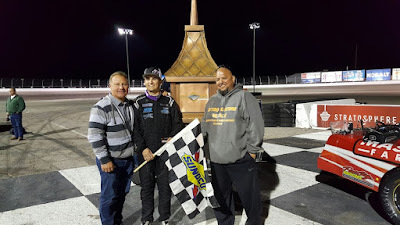 A 16-years-old from Grimsby, Ontario, Lapcevich won the first three races of his career and was the only driver to finish in the top 10 in ever NASCAR Pinty’s Series race this season. Gilliland, the 16-years-old from Sherrills Ford, North Carolina, joined his grandfather Butch as a NASCAR K&N Pro Series West champion. His six victories matched the mark as the most in the NASCAR K&N Pro Series West since Jimmy Insolo won nine in 1978. And Burt Myers continued his family’s long history of success at North Carolina’s historic Bowman Gray Stadium with an eighth NASCAR Whelen All-American Series championship. The 40-year-old from Walnut Cove, North Carolina, led the NASCAR Whelen Southern Modified Tour points the entire season en route to his second championship. Coby became the first driver in the NASCAR Whelen Modified Tour’s modern era to win three straight titles, and he became just the fifth driver in NASCAR’s oldest division to win four or more titles. On the other end of the spectrum, Haley, a 17-years-old from Winamac, Indiana, broke through with his first championship season. He won twice to became the fourth consecutive driver for HScott Motorsports with Justin Marks to win the NASCAR K&N Pro Series East title. He’s also became the eighth straight teenager to win the K&N Pro Series East crown. In addition to the championship awards, each series rookie of the year was honored. The Sunoco Rookie of the Year Award winners were Gilliland in the NASCAR K&N Pro Series West and Hunter Baize in the NASCAR K&N Pro Series East, Matt Swanson in the NASCAR Whelen Modified Tour and Kyle Bonsignore in the NASCAR Whelen Southern Modified Tour. Lapcevich earned the Josten's Rookie of the Year in the NASCAR Pinty's Series, and Alon Day was awarded the Junior "Jerome Sarran" Trophy by the NASCAR Whelen Euro Series as the series' top young driver. The Most Popular Driver Awards for each series were also presented during the ceremony. The seven drivers honored with the award, which was voted on by the fans through NASCAR.com, were Austin Theriault (NASCAR K&N Pro Series East), Salvatore Iovino (NASCAR K&N Pro Series West), Melissa Fifield (NASCAR Whelen Modified Tour), Trey Hutchens (NASCAR Whelen Southern Modified Tour), Jason Hathaway (NASCAR Pinty’s Series), and Day. The awards ceremony was streamed live online at NASCARHomeTracks.com – the official online home of NASCAR’s touring series – in English, French and Spanish. Wenatchee, WA (December 10, 2016)–Technical officials with the Northwest Super Late Model Series have released the rulebook covering the 2017 season. Some adjustments were made to the points system and how drivers were awarded as such for participating in a “Happy Minutes” session, but otherwise no major changes were made in the competition aspect of the rulebook. Up next for the NWSLMS will be next week’s release of the 2017 schedule followed by the Championship Banquet to be held January 14 at the Wenatchee Convention Center. For ticket information email George Wade at goewade95@hotmail.com or call (509) 663-8551. DAYTONA BEACH, Fla. (Dec. 8, 2016) – NASCAR fans have been thrilled in recent years by the achievements of the sport’s rising stars – from Joey Logano’s DAYTONA 500 win in 2015 to Austin Dillon, Chase Elliott and Kyle Larson joining him in the 2016 Chase for the NASCAR Sprint Cup. Daniel Suarez won the NASCAR XFINITY Series championship this year and William Byron led the NASCAR Camping World Truck Series in wins. · The K&N Pro Series will be part of five companion weekends with the NASCAR national series, including road-course events for the East at New York’s Watkins Glen International (Aug. 4) and for the West at Sonoma Raceway in California (June 24). In addition to the combination race at Iowa, the K&N Pro East will also race at Bristol Motor Speedway (April 22), New Hampshire Motor Speedway (July 15) and complete the season at Dover International Speedway (Sept. 29). · Leading up to the finale at the high-speed half-mile at Kern, K&N Pro Series West championship contenders will have to navigate a string of bullrings in the second half of the season, beginning with Evergreen before traveling to Douglas County Speedway in Roseburg, Ore. (Aug. 26), Idaho’s Meridian Speedway (Sept. 30) and All American Speedway in Roseville, Calif. (Oct. 14). 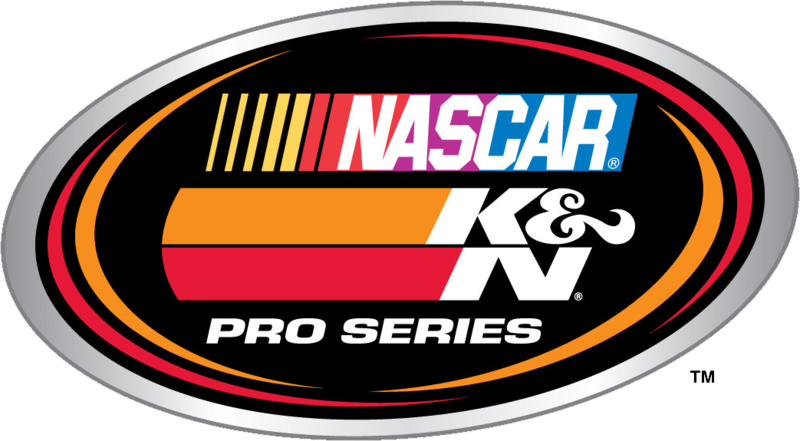 · The K&N Pro East will make its traditional spring stop at South Carolina’s Greenville Pickens Speedway. One of the oldest tracks in NASCAR, Greenville has proven to be a title test in recent years. The eventual series champion has won at Greenville in each of the last four seasons. 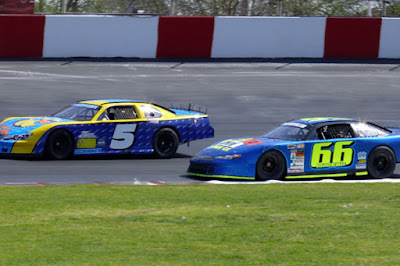 · Orange Show Speedway in San Bernardino, Calif. (May 20), Colorado National Speedway (June 10) provide an early season test for the K&N Pro West, while the K&N Pro East will host its penultimate race of the season on the road course at New Jersey Motorsports Park (Sept. 16). 3/18 Tucson Speedway Tucson, Ariz.
3/23 Kern County Raceway Park Bakersfield, Calif.
3/25 Irwindale Speedway* Irwindale, Calif.
5/13 Spokane County Raceway Airway Heights, Wash.
5/20 Orange Show Speedway San Bernardino, Calif.
6/10 Colorado National Speedway Dacono, Colo.
6/24 Sonoma Raceway Sonoma, Calif.
8/12 Evergreen Speedway Monroe, Wash.
8/26 Douglas County Speedway Roseburg, Ore.
10/14 All American Speedway Roseville, Calif.
11/4 Kern County Raceway Park Bakersfield, Calif.
1 One race remains to decide the 2016 SPEARS Southwest Tour Series Championship; Derek Thorn leads the standings with 1358 points over Ryan Cansdale with 1284, Christian McGhee at 1252 and Jacob Gomes with 1222 points. 2 Keith Spangler currently holds the number two spot in all-time series starts with 78. The all-time series starts leader is Troy Ermish with 95. 3 Derek Thorn will be looking for his 3rd SPEARS Southwest Tour Series Championship. 5 Drivers making their first career series starts: Billy Mitchell (Las Vegas, NV), Justin Simonson (Wheat Ridge, CO), Stan Mullis (Las Vegas, NV), Rick Smith (Gering, NE), Toby Becker (Wenatchee, WA). 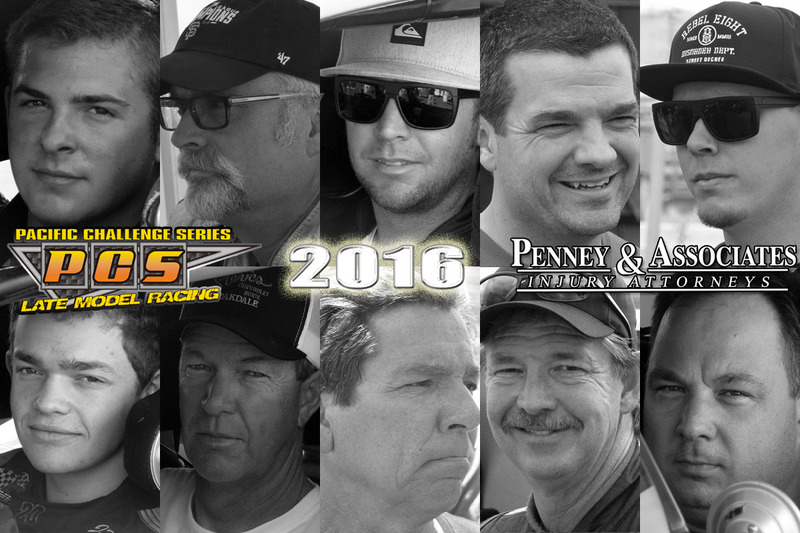 6 The number of different states represented this weekend for the 2016 Season Finale. 8 The number of Top 10’s 2016 ROTY driver Christian McGhee has this season. McGhee is the only driver to finish in the Top 10 at all races in 2016. 10 Number of drivers pre-entered who have a SPEARS Southwest Tour Series victory. 16 Saturday is the season finale for the 16th season of the SPEARS Southwest Tour. 18 This will be the 18th SPEARS Southwest Tour event held at The Bullring. 25 Average car count for the SPEARS Southwest Tour at The Bullring. 30 Most cars at a SPEARS Southwest Tour Series event at the Bullring occurred on October 31, 2009. 45 Danville, CA’s Jason Gilbert will make his 45th career series start. 51 Number of drivers to attempt a SPEARS Southwest Tour Series race this year. 75 The “Retro Custom Metals 150 presented by Pinnacle Peak Steakhouse” will have a halfway break at lap 75. 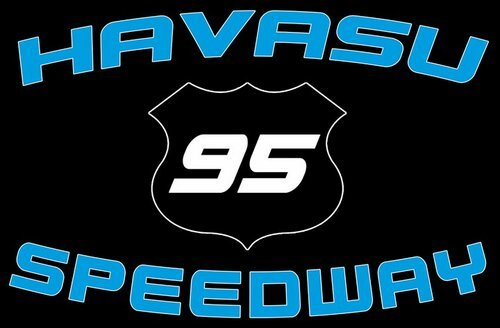 158 This will be the 158th points paying event for the SPEARS Southwest Tour Series. 1040 Number of miles traveled for Toby Becker from Wenatchee,WA to Las Vegas, NV. LAS VEGAS BULLRING. 3/8 MILE. LAS VEGAS, NV. www.lvms.com/bullring. SATURDAY, NOVEMBER 19TH. I've always said that the words racing and Las Vegas belongs in the same sentence. Per a long standing tradition, the Las Vegas Bullring will be presenting their annual, season closing, West Coast Short Track Championships this Saturday night. This event is loaded with some of the best driving talent from the western states and will feature the Spears SRL Southwest Tour, The Lucas Oil Modified Racing Series and the RACE CAR Factory Spec Late Models. Put it all together and it's going to be another stellar night of stock car racing in Las Vegas. The highlight of the evening will be the Spears SRL Southwest Tour's 2016 season finale. The Retro Custom Metals 150, presented by the Pinnacle Peak Steak House, is expected to be a very intense affair. That's largely due to the $10,000 check that goes to the race winner. In recent days SRL officials announced that a beautiful, custom made, cupola will also be presented to the race winner. Described as a copper masterpiece, this winner's cup is valued at $6,000 and is courtesy of race sponsor Retro Custom Metals. As far as the series' points championship goes, it appears that Derek Thorn, and his Campbell Motorsports team, is in good shape to take another series title based on five main event wins this season. 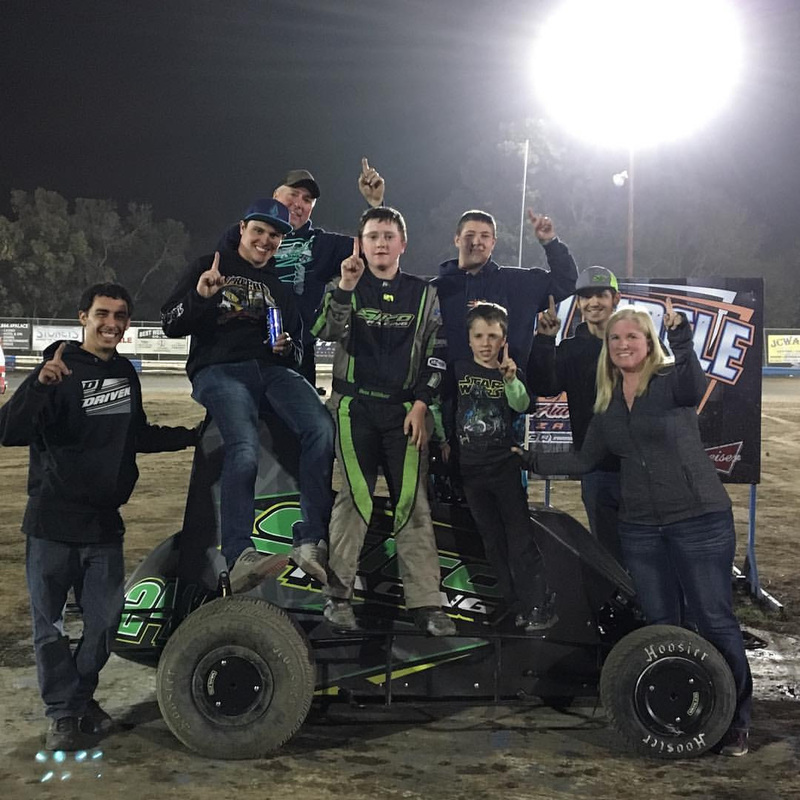 The Lakeport, California driver has won previous series championships in 2012 and 2014 and is the winningest driver in the SRL. He goes into Saturday night's race with a healthy points lead over two time winner Ryan Cansdale. The Lucas Oil Production Studios will be in Las Vegas Saturday night to film the race for the company owned MAV TV Motorsports Network. The race will be presented for national broadcast on January 24th. 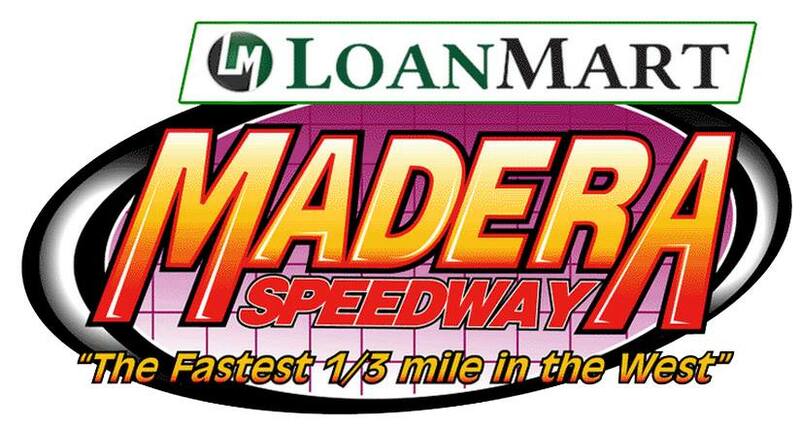 Making an equally impressive appearance Saturday will be the Lucas Oil Modified Racing Series, presented by Loan Mart. This outstanding regional touring series will be treating their fans to the running of the 51 FIFTY Energy Drink 101, presented by Optima Batteries. This race will be ran in two segments. The first segment, laps 1 through 51, will be ran early in the evening. The final 50 lap segment will be ran later that night and will determine the race winner. Championship points are not a part of the equation on Saturday night. 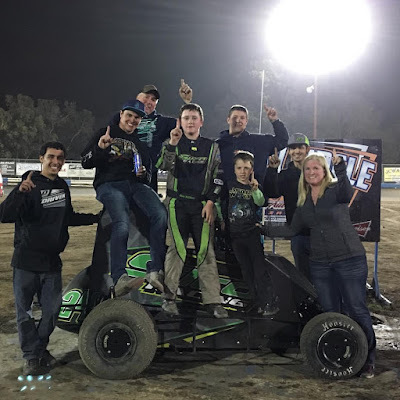 Matthew Hicks took care of winning the series' championship, at the Arizona based Havasu 95 Speedway, back on October 29th. That means the Las Vegas race is about major bragging rights along with a $4,000 winner's check. This race will be carried live Saturday night on Lucas Oil Racing (Dot) TV. This recently launched live stream computer broadcast system features high level broadcast quality that is well worth the very budget friendly priced subscription rates. The broadcast is scheduled for 8pm eastern time. The Las Vegas racing weekend will begin on Friday night with an open practice session, for all divisions, from 2pm to 9pm. The grandstands will be available to the fans free of charge Friday night. On Saturday the spectator gates will open at 2pm. The day begins with qualifying followed by twin heat races from the RACE CAR Factory Spec Late Models and a 40 lap B Main from the Lucas Oil Modified Racing Series. Official opening ceremonies will be held at 5pm followed by the start of main events from the three racing divisions. General admission tickets are $12. There are also discounts available for kids, age six to 12, as well as seniors and military personnel. A budget friendly family four pack is also available. Fans can save money on available ticket packages by visiting the speedways tickets office or by calling 1 800 644 4444. Advance tickets can also be ordered through the speedway's website or through Ticketmaster. In still more good news is the fact that the Las Vegas Bullring has an extremely fan friendly concession stand that features $2 hot dogs and Cola Cola products along with $3 Budweiser products. IRWINDALE EVENT CENTER. 1/8 MILE DRAG STRIP. IRWINDALE, CA. www.irwindalespeedway.com THURSDAY, NOVEMBER 17TH. The IEC will again covert a portion to of their half mile oval into a one-eighth mile drag strip in order to present their NHRA Thursday Night Thunder program along with it's important message: race the strip and not the streets. This program is open to all types of vehicles from professional race cars to street legal vehicles. The gates will open at 4pm followed by racing from 5 to 10pm. The program is also very budget friendly. A $20 entry fee will allow drivers to race all night long and a $10 entry fee will allow spectators to watch the racing all night long. 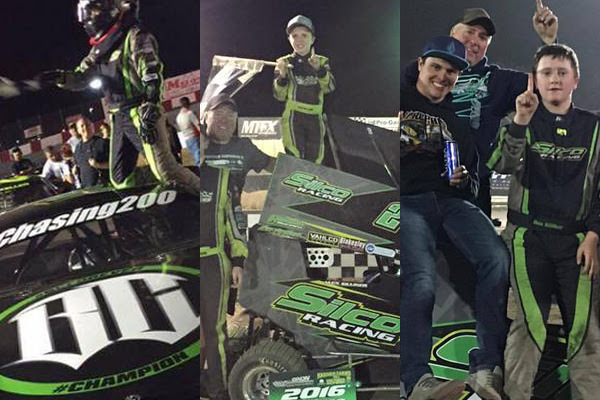 Wenatchee, WA (November 14, 2016)– As the 2016 season comes to a close the drivers inside the final Top-10 championship standings on Northwest Super Late Model Series were an important part of the of the series this year. The NWSLMS finished up the third season for the premier touring Super Late Model division in the Northwest with sixty-four drivers participating in 2016. Here is an inside look at the drivers that finished sixth through 10th in the NWSLMS points standings for 2016. Thomsen ran with the NWSLMS full time in 2016 after running a limited schedule with the series in 2014 and 2015. The Pasco, WA driver showed that he could still run up front with the series regulars even with using one of the oldest chassis in the series. Thomsen captured his best career NWSLMS finish this season at the Idaho Tune Up 150 with a sixth place run. Thomsen will be awarded $1,000 cash and AR Bodies Body Kit for his sixth place finish in the 2016 NWSLMS Championship. The 2015 NWSLMS Rookie of the Year had a slow start in the 2016 season with engine issues but bounced back midway through the season with back to back top 10 finishes at Stateline Speedway. The young gun driver had three blown engines during the 2016 season but the family racing team bounced back each time. Knutson will be award $1,000 cash and a Five Start Bodies Kit for his seventh place finish in the 2016 NWSLMS Championship. 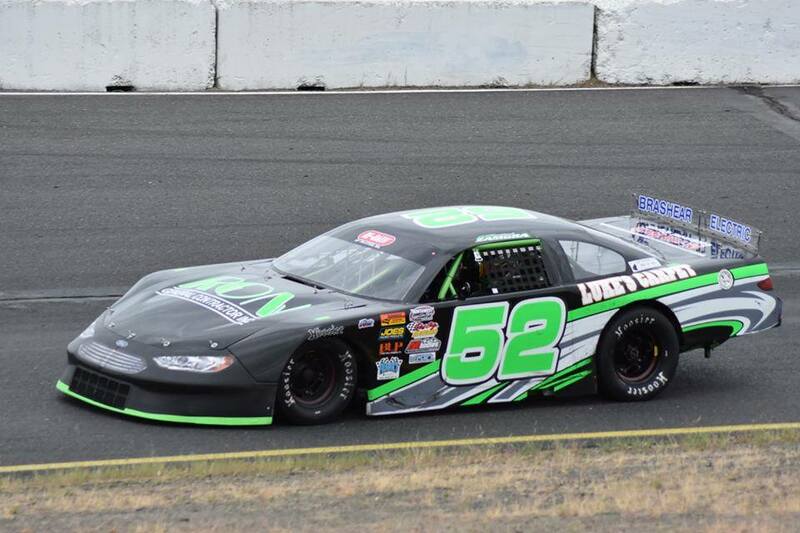 The 2016 season started off slow for the Canadian driver Clint Habart with an early race accident and wrist injury at the Apple Cup in April. Habart and the Kustom Fab race team didn’t let that slow them down as they grabbed a tenth place finish the next race out. Habart captured his best NWSLMS career finish at Wenatchee Valley Super Oval’s Neal Newberry 125 in September when he finished third. Habart will be awarded $1,000 cash and $500 Certificate for Franks Radio Service for his eighth place finish in the 2016 NWSLMS Championship. Mitchell returned to racing full time in 2016 after an early season injury cut his 2015 season short. The past series winner had some early season runs up front at races but late race incidents hurt his finishes. Mitchell found success at Spokane Super Oval for seventh place finishes in both races at the half-mile oval.